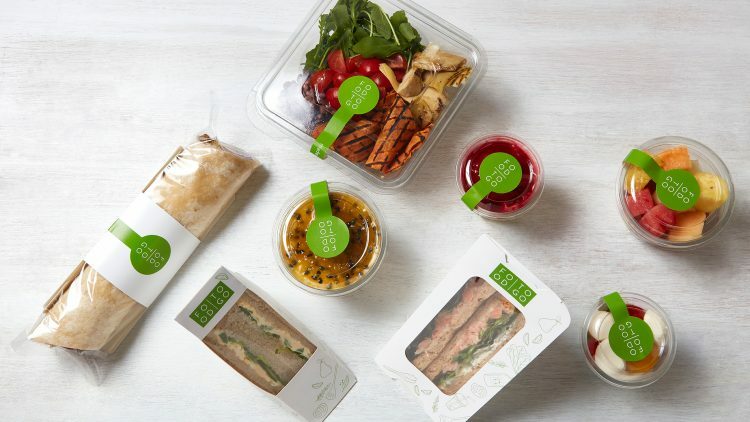 I have been part of the bartlett mitchell team who have just launched a completely new grab & go offer called Food To Go. It has been a very exciting time and we loved seeing the teams’ enthusiasm when we unveiled it last week. We asked everyone what their favourite Food To Go was and you can see their energy in the gallery. We did a lot of research before we embarked on this project. This included looking at the trends and getting customer feedback, which were revealing. On the high street, grab & go grew by 7% last year. It was clear that more and more customers were looking for a convenient way to get good, quick food on the move. High street contemporary fast food brands were also reporting increases in sales, in some cases up to 25%. Sales of vegan and vegetarian and healthier food grab and go choices were also increasing significantly. Contract caterer’s grab & go is one of the few parts of our offer that customers can directly compare to what’s available on the high street. We felt branded packaging was a key part of succesfully developing this project. We had to create a range that gave customers the same perception of quality and value they experience on the high street. We wanted to sell tasty food with innovative, attractive packaging and displays. Our chefs developed nearly 100 new recipes for sandwiches, wraps, salads, dressings, protein pots, breakfast pots and desserts. All the foods were nutritionally analysed by our nutritionist. This information is shown on the customer label and is available on the MyFitnessPal app. There are veggie, vegan, dairy free and gluten free options for customers to choose from. The concept was initially trialled at a large site in Canary Wharf and benchmarked against high-street equivalent products. Thousands of customers took part in the trial and provided feedback which we used to develop the final range. The most important and overarching theme was to deliver consistency. To ensure consistency we devised a comprehensive and engaging training programme for our teams. Emma designed our unique packaging , complete with some subtle pear motifs (or it wouldn’t be bartlett mitchell). Steve Fox our purchasing director sourced packaging with great green credentials, the PLA composts in 12 weeks and the cardboard and plastic is all completely recyclable. The feedback so far from customers has been great. They love the fact that the nutritional information is on the label, and they are really enjoying the new flavours. We have already been asked what the Christmas specials will be? It was a phenomenal team effort, encompassing members from ops, purchasing, sales, marketing and food development. We now have a great blueprint for rolling out even more successful food concepts. We believe we have created a bang up-to-date offer that allows us to provide our customers with a fantastic High Street retail experience.